Ahhh Memorial Day Weekend. A time dedicated to those who have fought for our country, a weekend to honor the men and women who have served to ensure our freedom, and time for skiing. 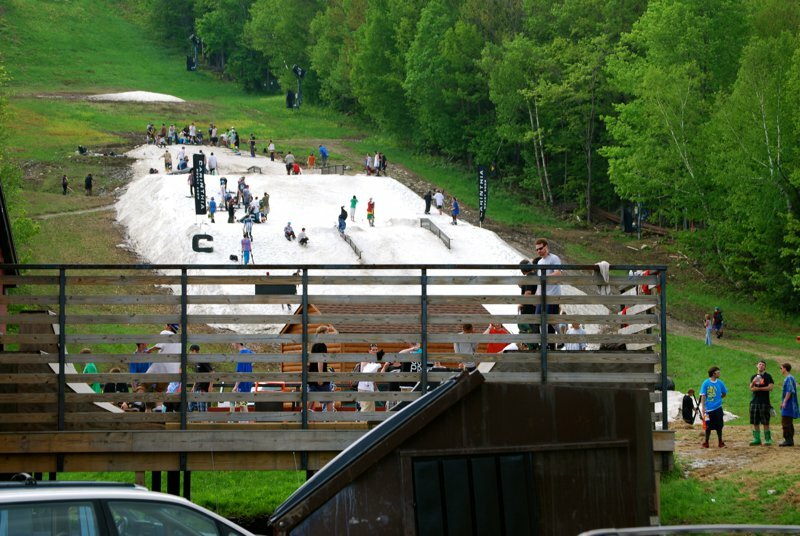 Yup, that&rsquo;s right&hellip;on May 28th in 75-degree weather, a few hundred of New England's most dedicated skiers and riders made what has become an annual pilgrimage to West Dover, Vermont to enjoy Mount Snow&rsquo;s Peace Pipe Rail Jam. 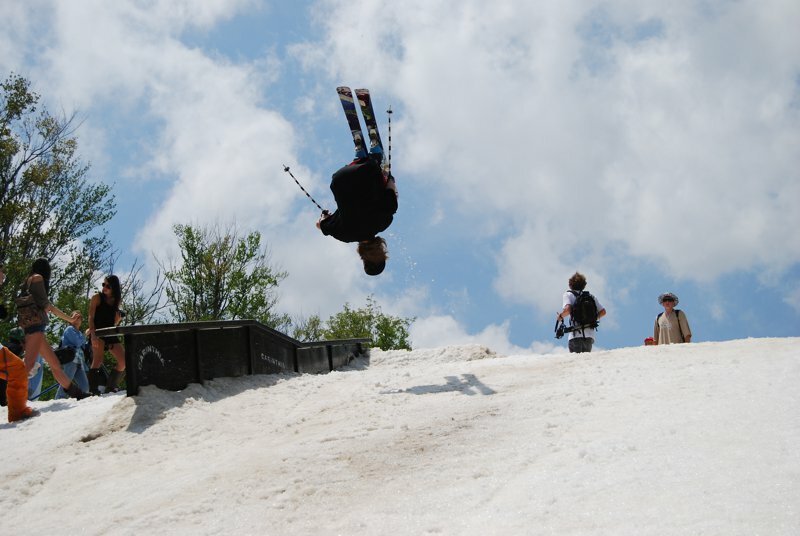 &hellip;and busting out a front flip for good measure. As the day went on, the cloudy skies gave way to a mostly sunny day, as if the ski gods were in full support of this last hurrah. 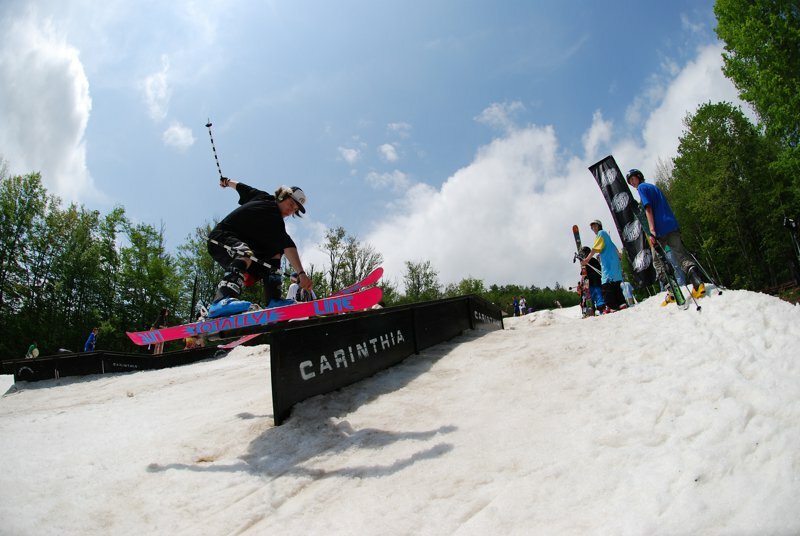 As the temperature increased, so did the intensity of the tricks. 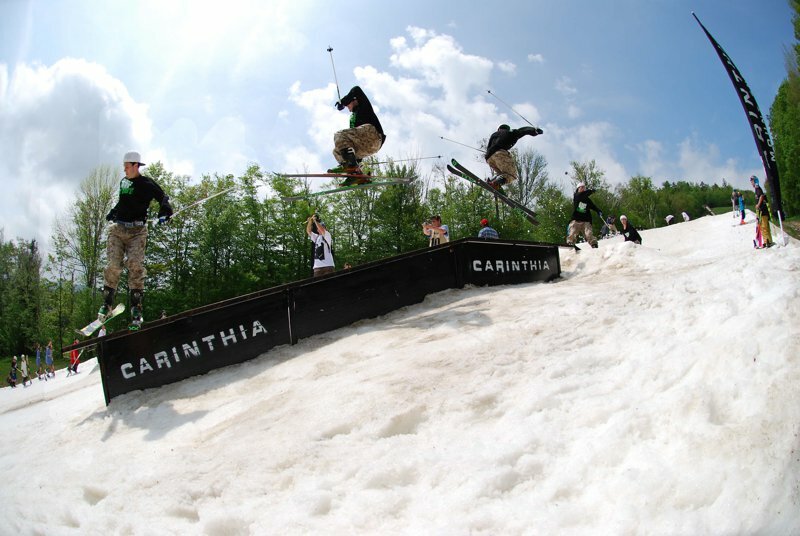 By noon, flips &ndash; both front and back &ndash; had been thrown despite the lack of any real jump, k-feds became a regular sight, and pretzels were plentiful. 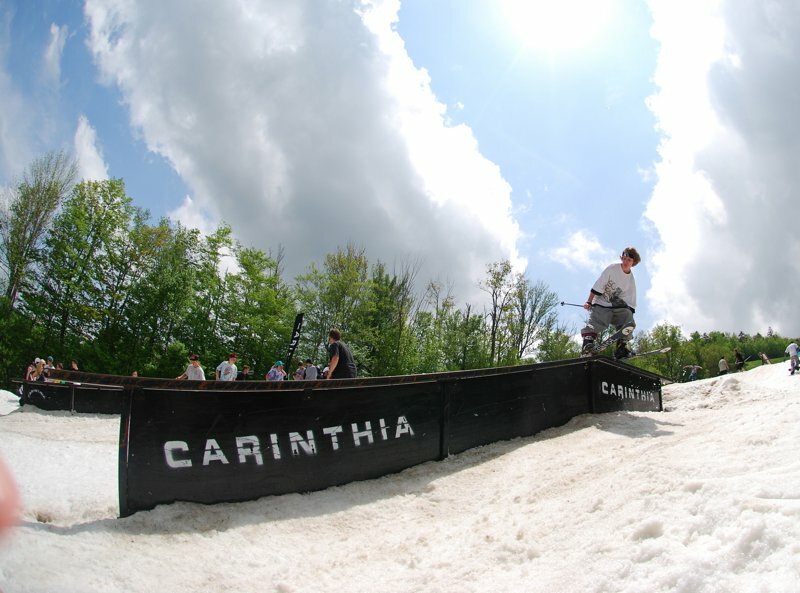 However it really started going off when 17-year-old Robert Bittner threw a 450 disaster, 270 out on the flat-down rail. Overall, the day was one to be remembered. It's events like this that will help us all push through the warm, snowless months to come as we wait for the first flakes of the 2011/2012 season to fall. 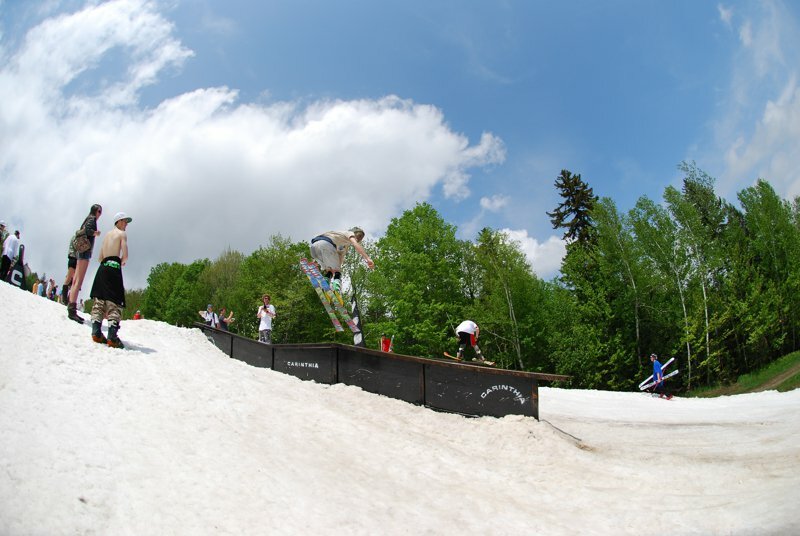 For 15-year-old Hunter Tyrrell, the three-hour drive to Mount Snow was, &quot;totally worth it,&quot; saying that, &quot;when opportunities come like this, take them no matter what.&quot; This sort of passion is the driving force that helps us continue to advance the sport we have all come to love, and it is great to see it alive and well in so many of the younger skiers who took part in Saturday's event. 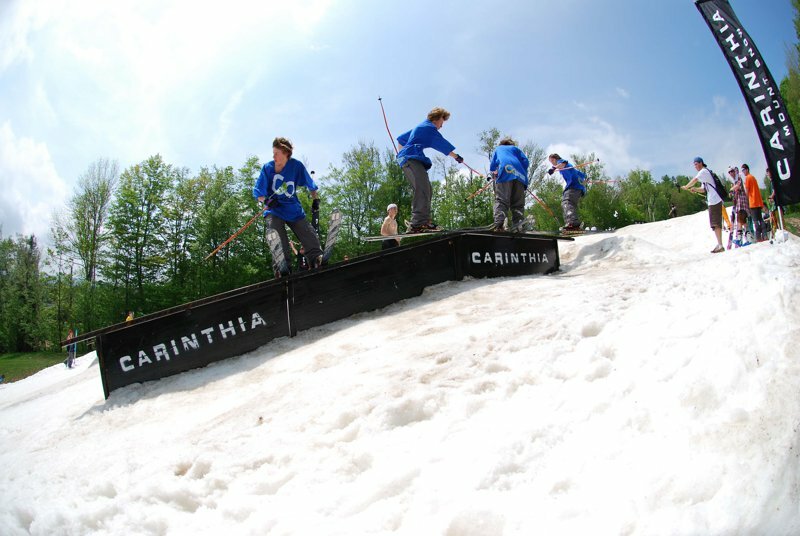 None of this would have been possible if it weren't for the Mount Snow Park Rangers, so a big thank you to them. Their hard work was what gave us the chance for one final day of fun. Bittner put it best by saying, &quot;It's awesome that these guys set this up so late in the year. 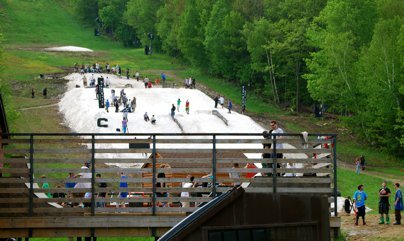 I never thought that I'd be skiing Memorial Day weekend. This is like paradise for me.&quot; Thanks again to the Rangers and to everyone who came out for the jam, making it one of the best days this year. Have a good summer. 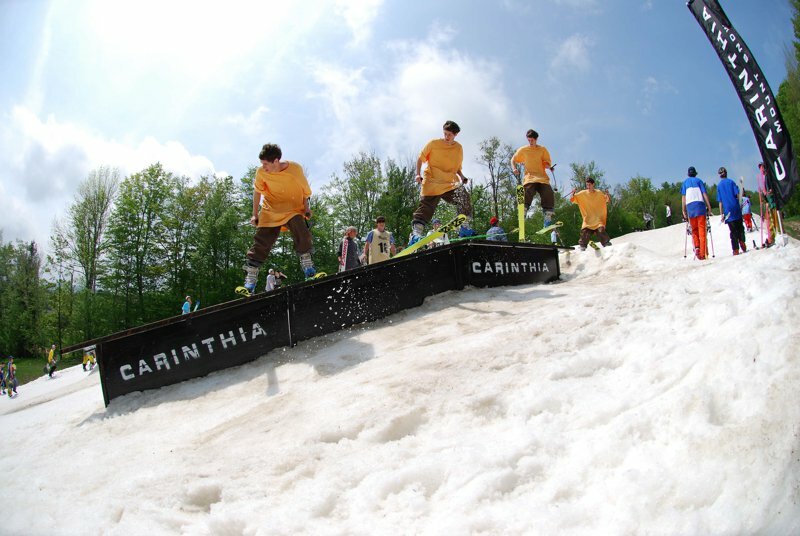 Peace Pipe Jam '11 from Ben Zackin on Vimeo.